Dr. Padalecki offers both surgical and non-surgical treatments for shoulder, knee, and hip disorders. He uses advanced arthroscopic and open surgical techniques to treat a number of joint related conditions and sports injuries. Regardless of how minor or complex the injury, Dr. Padalecki appreciates that each patient and case is unique. He implements tailored approaches to treatment based on individual patient needs. Dr. Padalecki is committed to helping his patients return to their desired activity level as quickly as possible. He is among an elite group of orthopedic surgeons selected to train as fellows under the guidance of the orthopedic team at the renowned Steadman Clinic in Vail, Colorado. 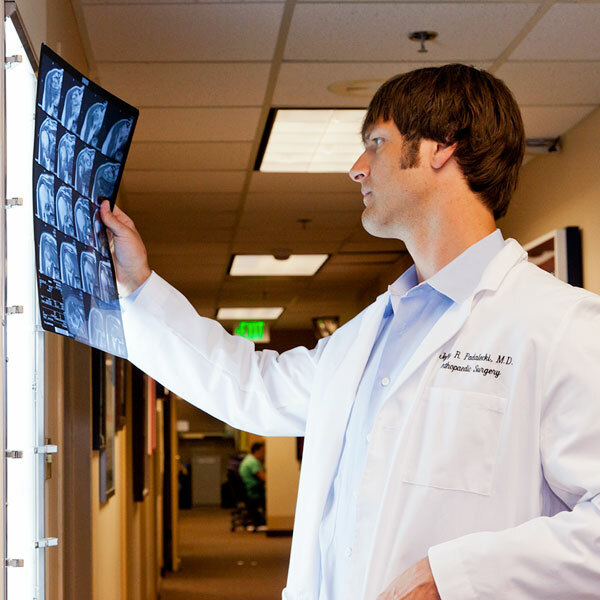 Dr. Padalecki brings these leading edge, advanced techniques to patients in Austin seeking treatment for their orthopedic and sports related injuries. Through research and unparalleled techniques, Dr. Jeffrey Padalecki strives to improve treatment outcomes that help his patients live active and pain-free lives. Thank you for choosing Dr. Padalecki as your healthcare provider. It is our goal to provide the highest level of care and service to our patients. Please help us by leaving a review regarding your experience with Dr. Padalecki. Dr. Jeffrey fixed my left shoulder as promised with no pain after surgery and an incredible support before during and after this experience. He is incredibly professional he knows perfectly what he is doing, he is very serious and focused when meeting him. I am deeply grateful for his support and for his fantastic and very professional behavior. OMG. Dr. Padalecki is a miracle worker. Crushed my humerus in Belize and he fixed the damage the VooDoo Dr did. 1000% recommend him. Fractured my ankle in 4 places Easter Sunday 2017. Dr. Padelecki came highly referred ...the highest referral of all I researched. After my first appointment I knew I had made the right choice. As you can imagine i was somewhat frantic ...after all when you lifted my foot...it would flop over the wrong way! So when he said he wanted to take me out of the temporary splint I was in...i began very emotional....no one but me had seen my foot flop and I was scared!! He was awesome in calming me down...and he didn't take my foot out...knowing that doing so would panic me. He is very tuned into patients feelings. Never felt rushed, always felt well cared for. His tech Sarah...OMG..she is an angel. Because of swelling I had to have my cast replaced several times...and she is a PRO!! Dr. P told me upfront what to expect...and he was spot on. 12 weeks of no weight on m foot....13 screws and a 4" plate later....Im pretty much back to normal! Today I put on my boots...im thrilled. Dr. P is truly gifted and more than that...he is a great person! "Dr. Padalecki is not only smart and accomplished in his field but a very caring and down to earth individual. I highly recommend!" - Ann B.